Cast steel with wood handle, 9" long, 3" wide blade, 10" long handle, obscure signature "KING New York". 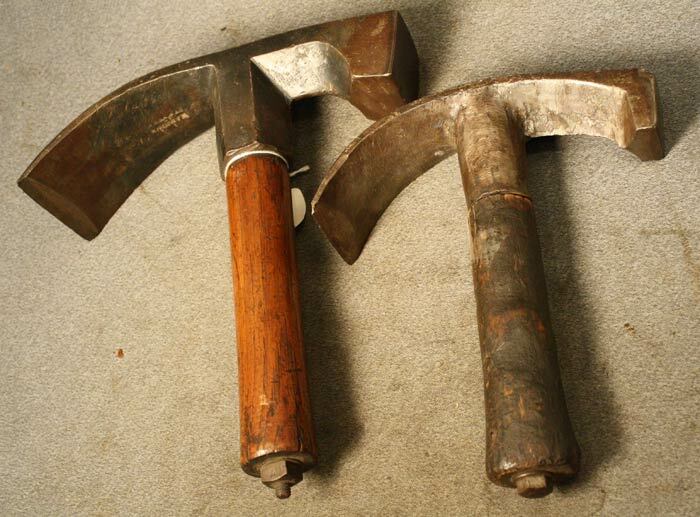 This large coopers' adz came with the H. A. W. King coopers' broad ax (7602T2) and appears to be of the same vintage. Forged iron with steel face and blade, 7" long, 1 1/4" square face, 2 1/2" blade, partially obscurred signature "WHITE 1837", mid- 19th century. This is almost certainly L. and T. J. 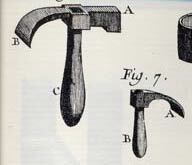 White, Buffalo, a prolific New York maker of both edge tools and coopers' tools, 1837f.